Leather Needlework is a material research in leather, using old needlework techniques. Inspired by the simplicity and richness of ethnic pieces. Three of the material samples have been executed in rugs. Plumage is a black weave, alternating shiny and matt, with leather feathers growing out. 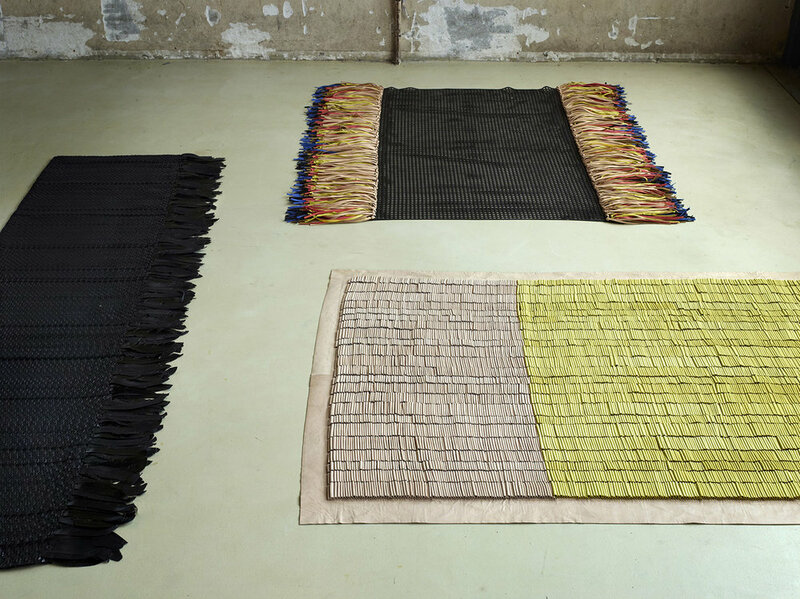 The rug with the frivolous, brightly coloured fringes and a black canvas is called the Fringes. The third is called Colour Block: a large surface covered with wide, short loops, where two intense colours meet.